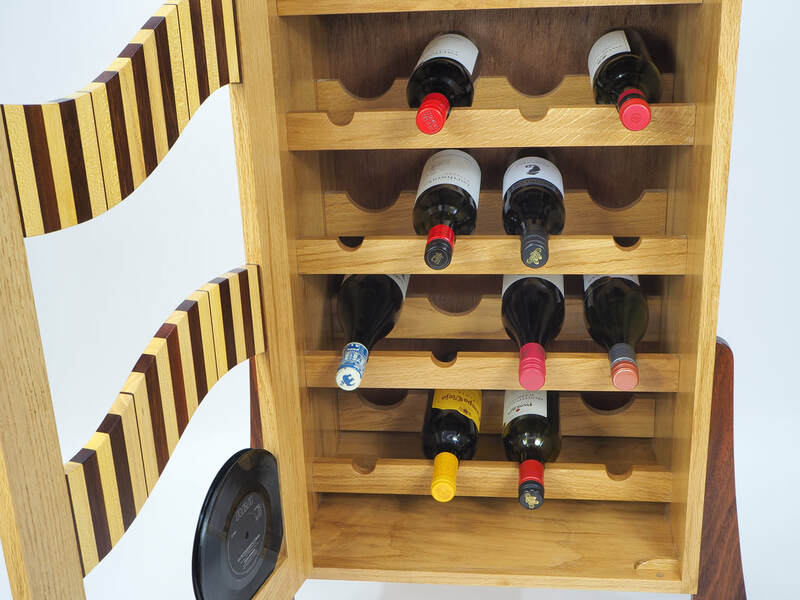 A wine cabinet made from 100 year old Marlborough Oak with Lacebark and recycled Jarrah and, of course, Vinyl. The cabinet will hold 24 standard bottles of wine. A great gift for the sushi lover in your life. 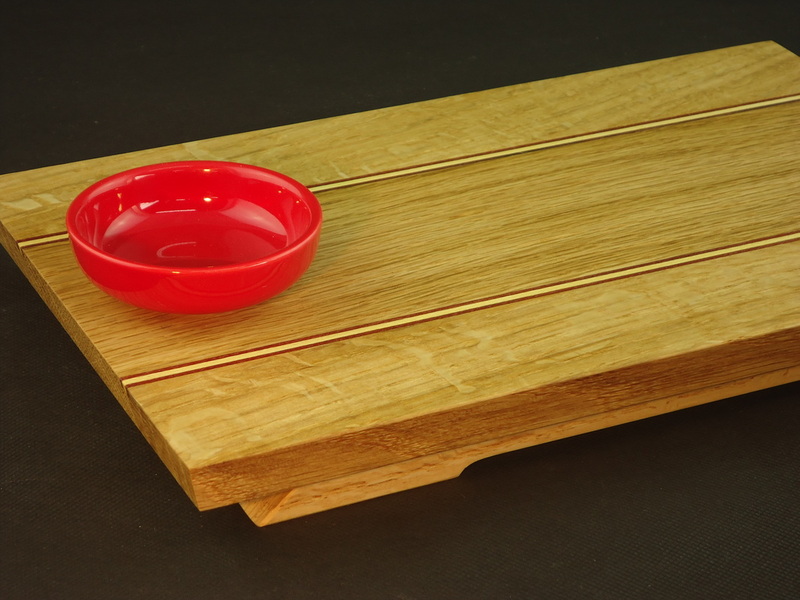 Serve your sushi on a board made from New Zealand-grown Oak with inlays of Jarrah and Lacebark; finely finished with food-safe oil. 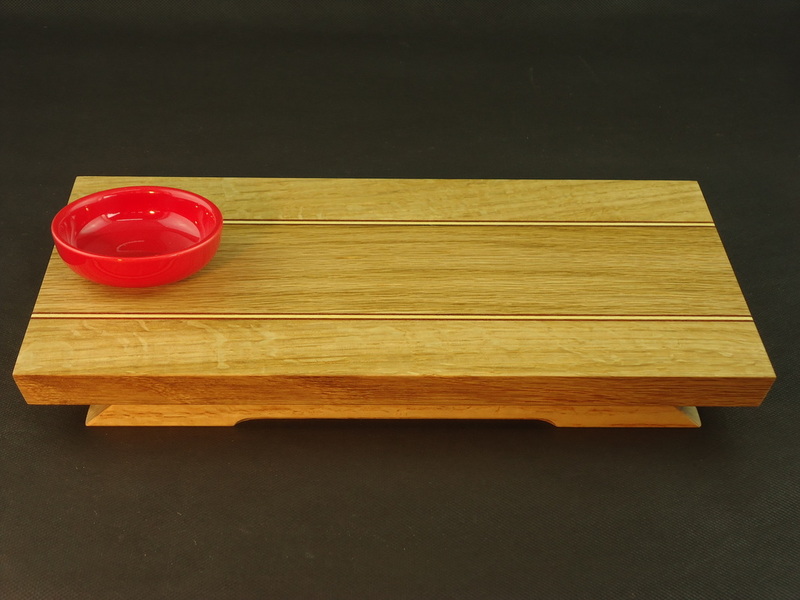 Complete with ceramic dipping bowl in either red or lime. 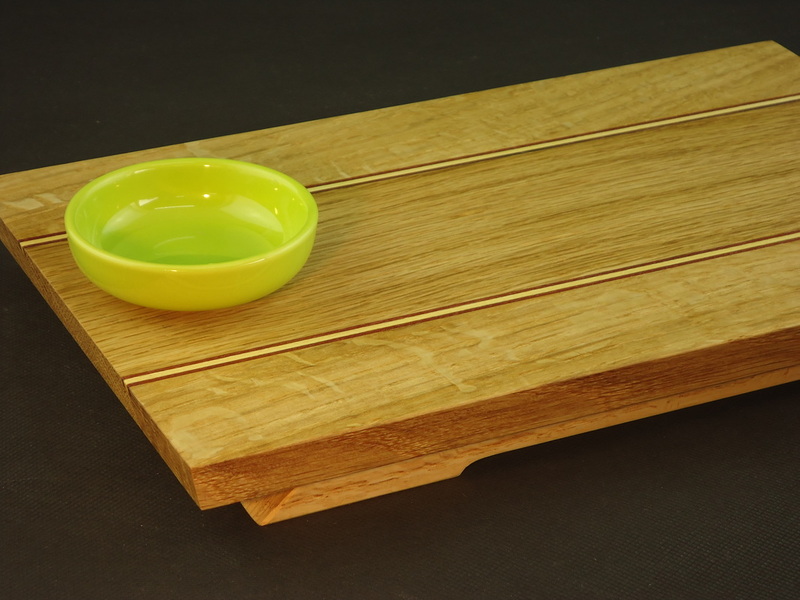 ​The board could equally be used for bread and dips or as a cheese board. For those people out there who still use a pen! Stop all those bits and bobs from cluttering your desk. 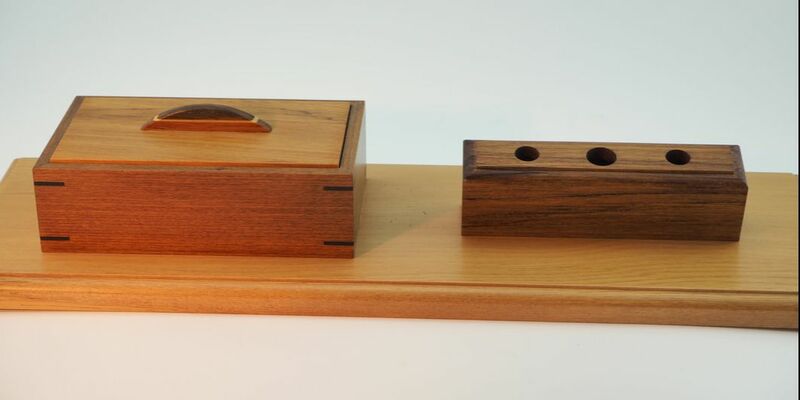 Made from recycled Rimu, Matai and accents of Jarrah.